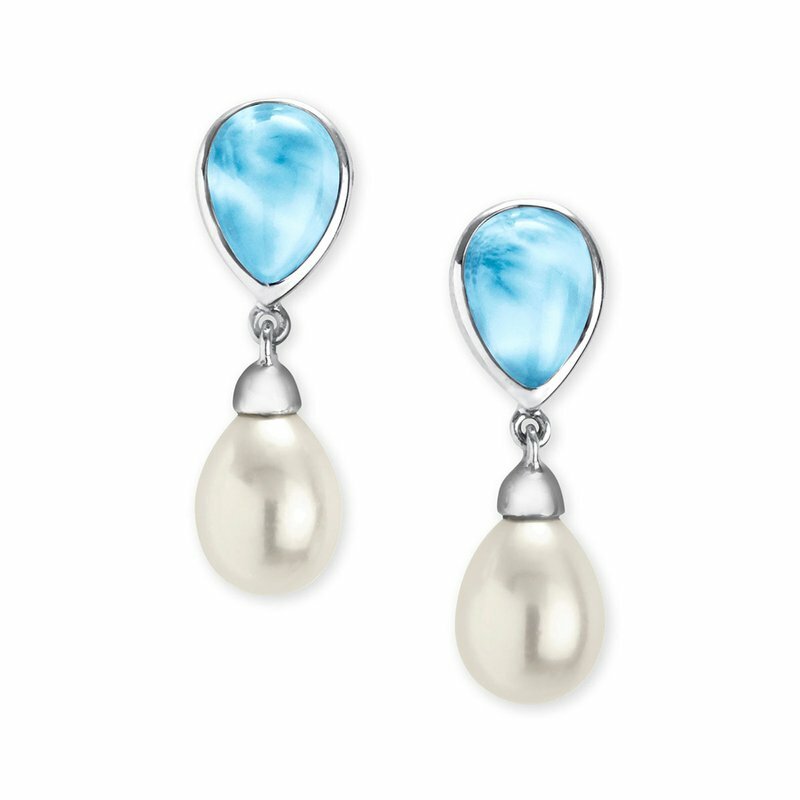 Marahlago's Alisa earrings feature an elegant tear-drop shaped Larimar posts what sit atop of a Freshwater Pearl. Native to the Dominican Republic, this beautiful blueish green stone is one of nature's best-kept secrets. Larimar is one of the few naturally occurring gemstones to be mined in the Caribbean. Marahlago hand picks each stone and because of this characteristic no two stones are alike.